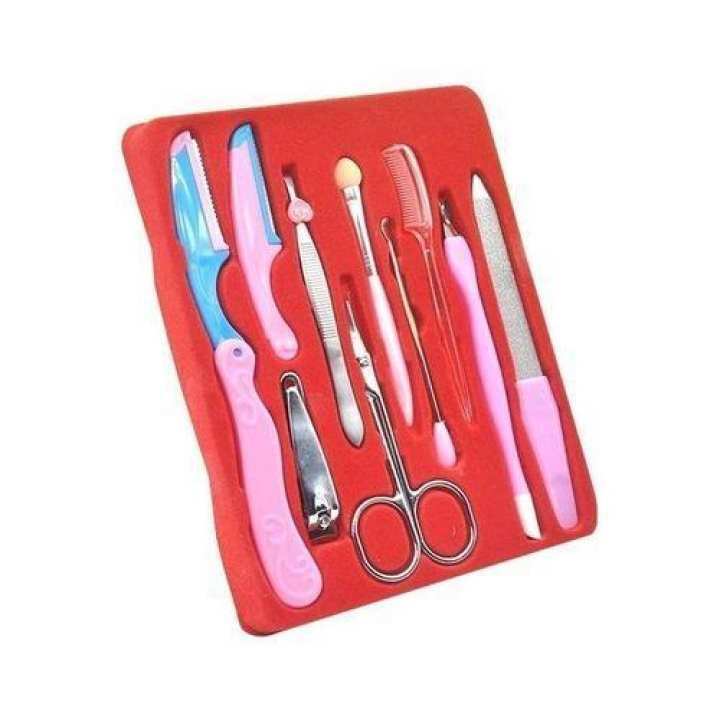 Manicure set is made of high-end stainless steel, they can anti-rust and keep sharp for several years if have good maintenance. It is better to use your own nail care kit separately as separate tools for fingers and toes help avoid the spread of fungal infections. for your own health, it is worth having one set on hand. The comprehensive set of beauty trimming set, which includes totally 10pcs that care for both overall and detailed facial and hand care processing aspects. Trimming tools are designed with high-quality stainless steel material which is precise and corrosion resistance.This 10pcs of professional makeup brush includes nail scissors, trimming tools, eyebrow tweezers, pliers and so on.Easy manual operation with no slipping owes to the outstanding manufacturing. The flower pattern of PU leather case is intended to offer a neat and elegant new way of collecting your tools, suitable for both daily use and convenient portable traveling carry.